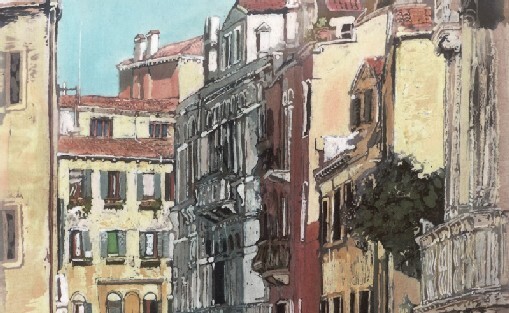 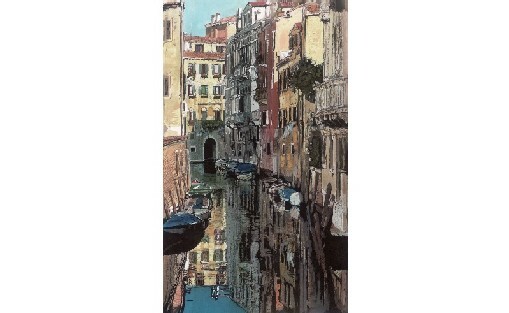 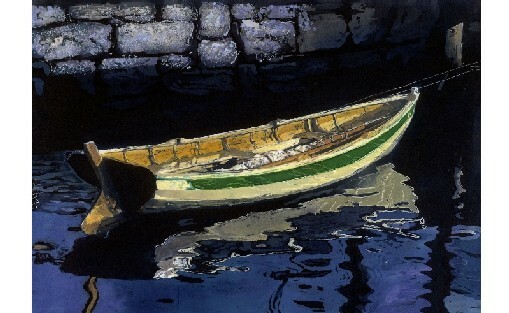 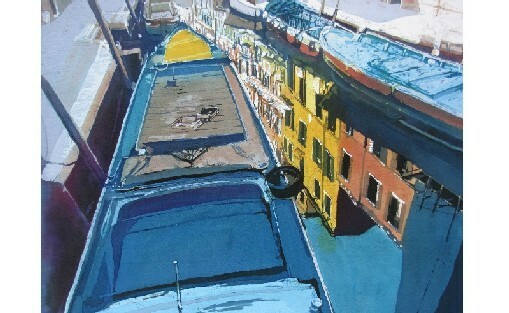 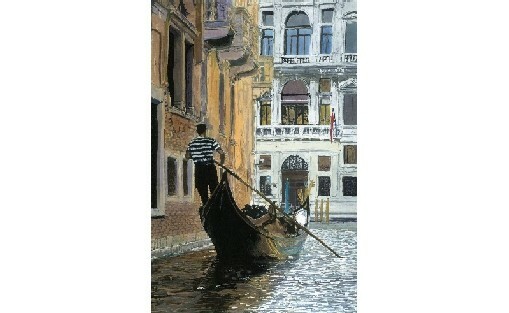 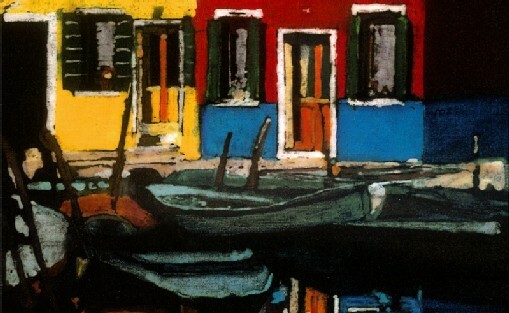 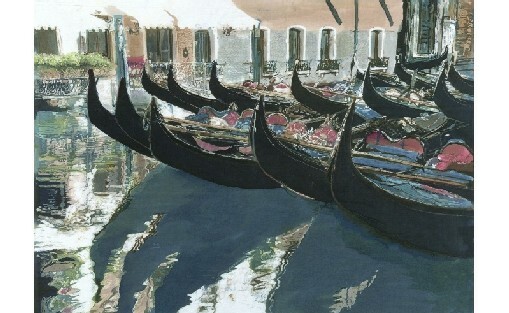 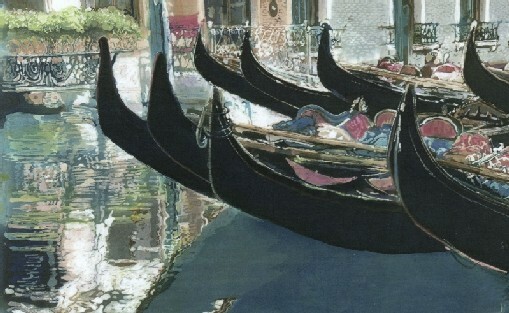 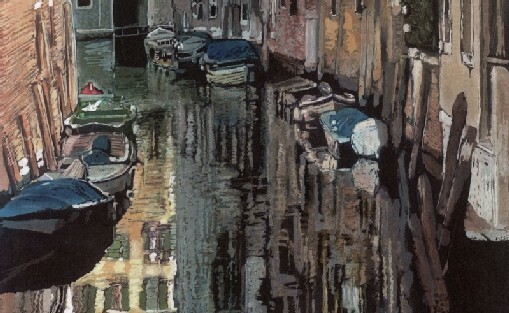 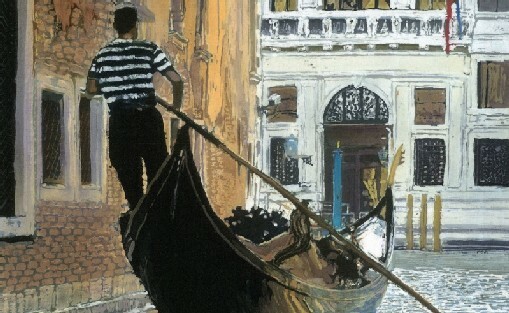 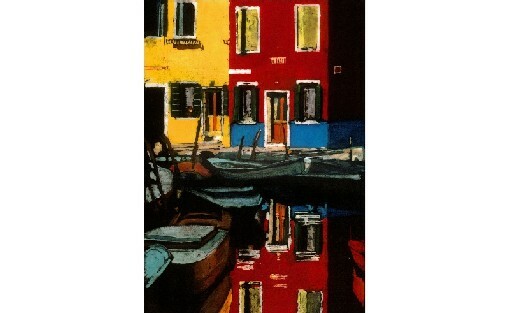 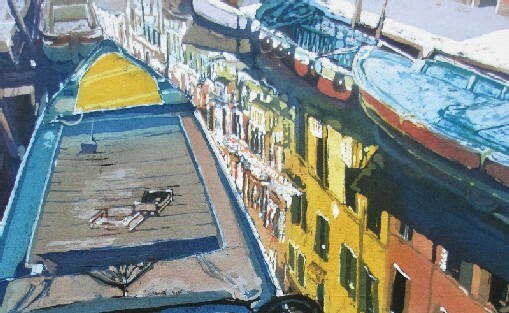 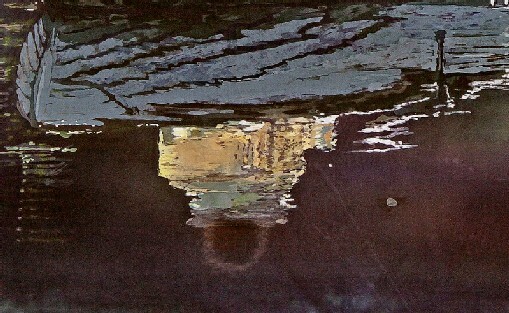 Reflections of boats and buildings in a Venetian canal. 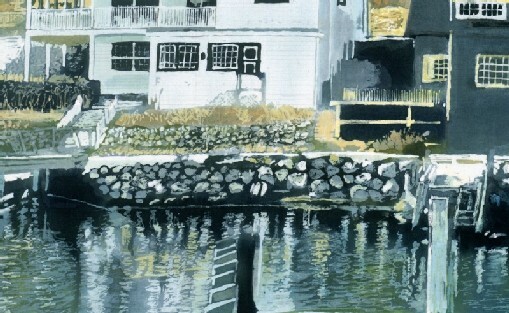 Reflections of 'The Crooked Sixpence' and 42 Duke Street, two old houses in Chester, Nova Scotia, overlooking the Front Harbour. 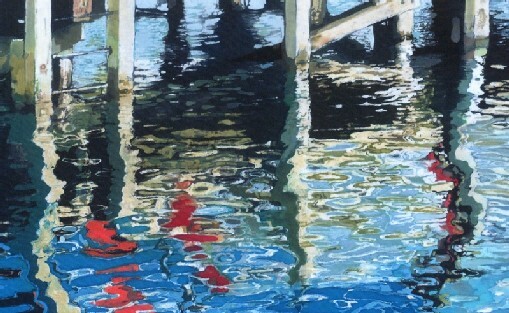 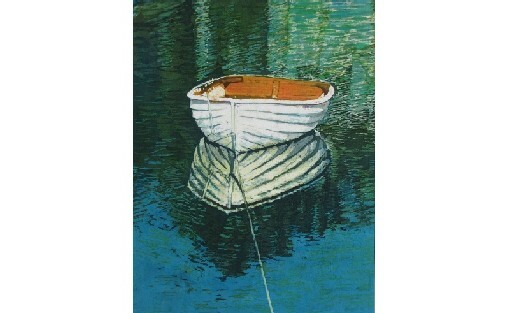 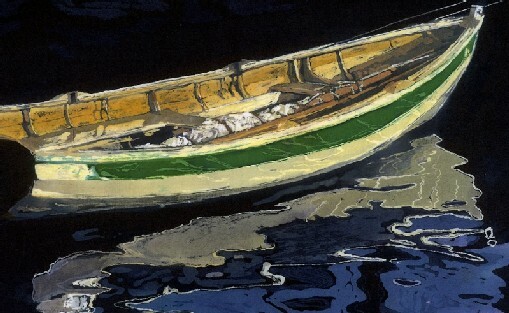 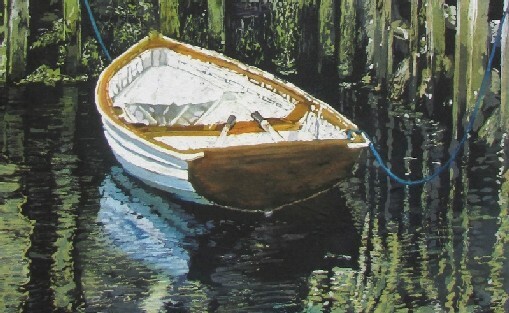 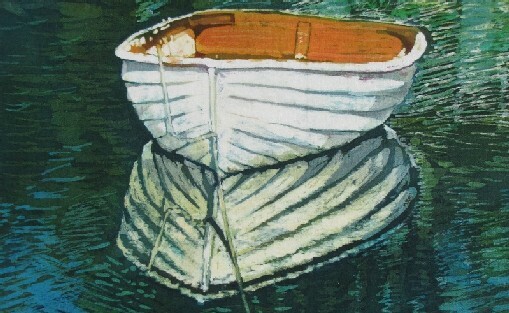 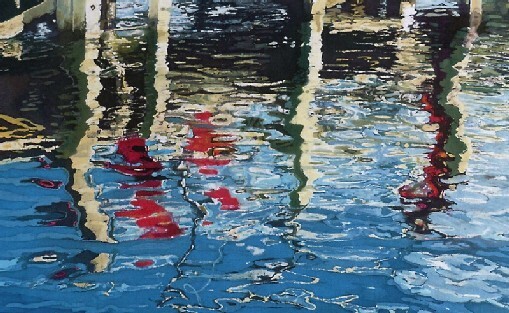 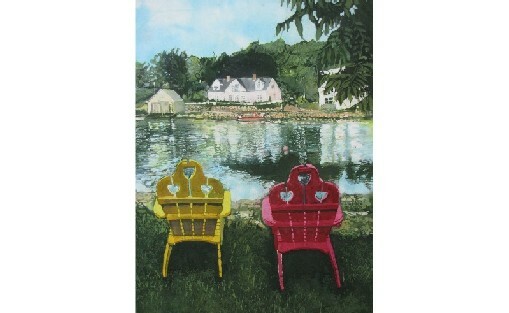 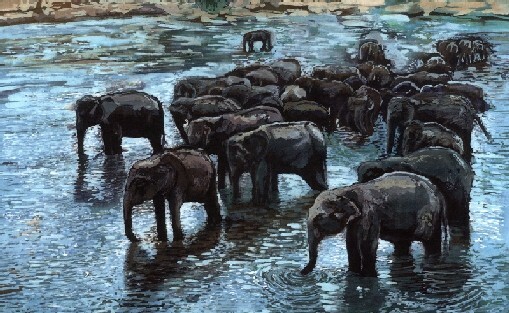 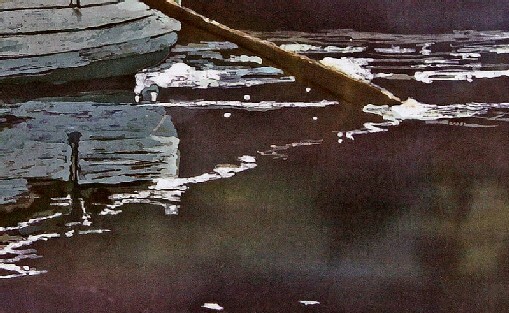 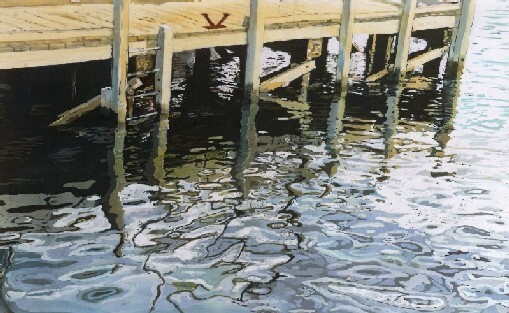 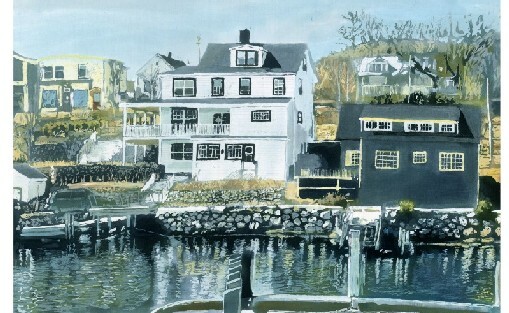 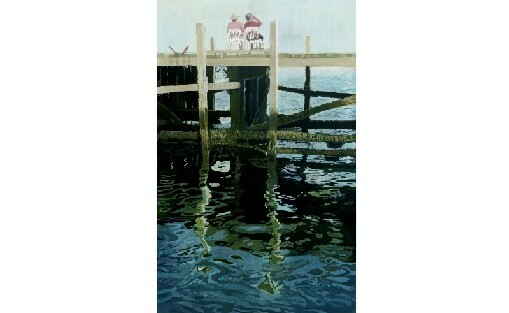 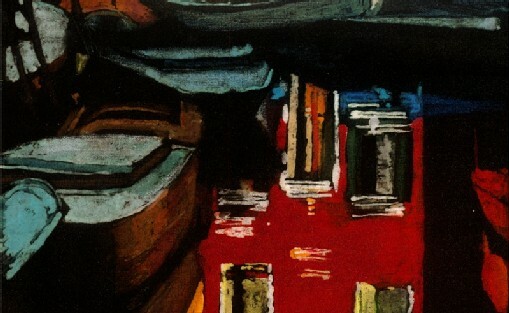 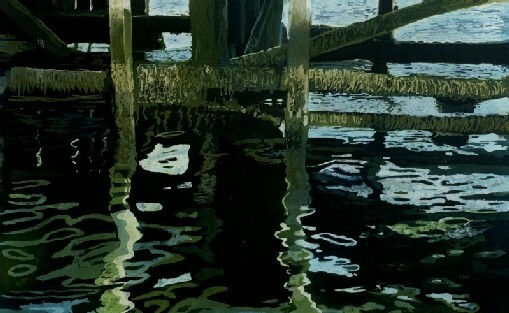 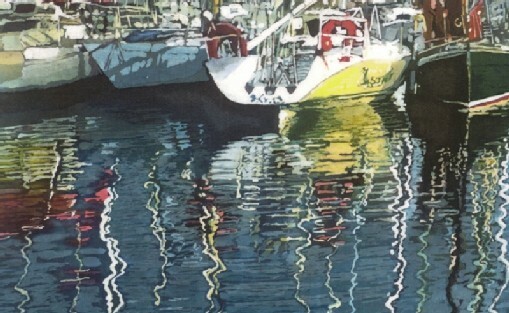 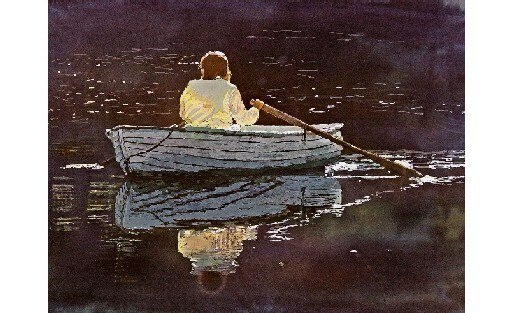 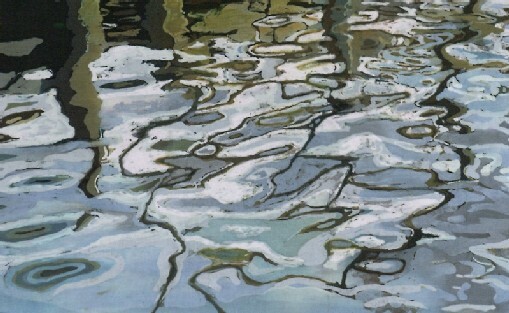 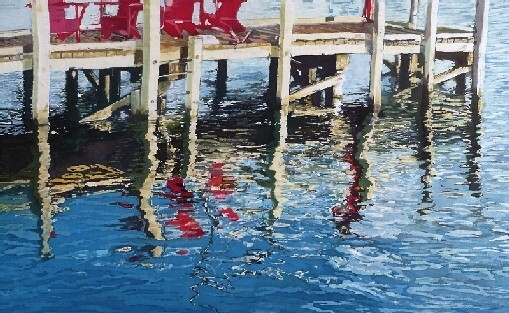 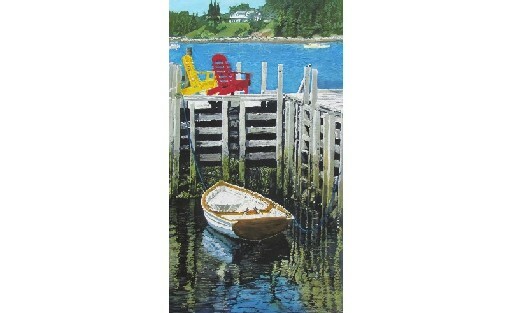 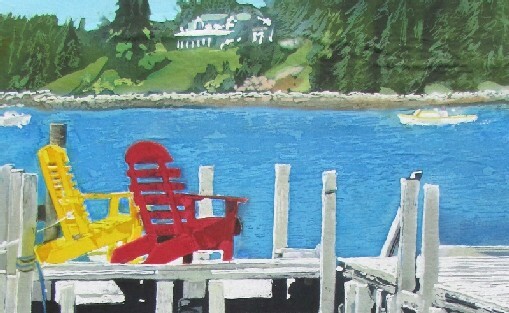 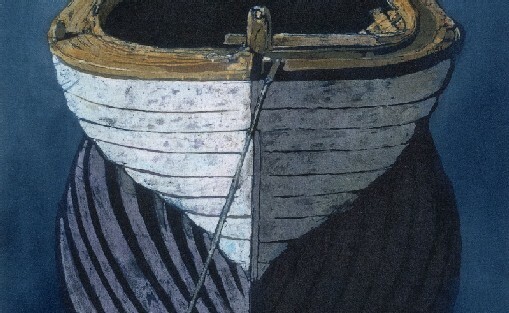 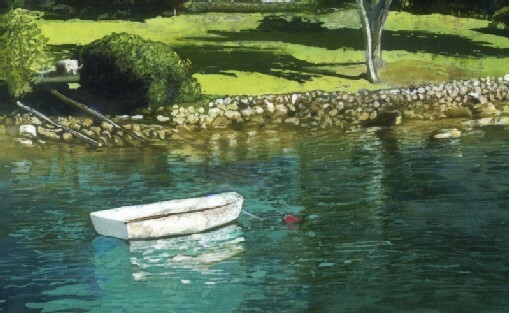 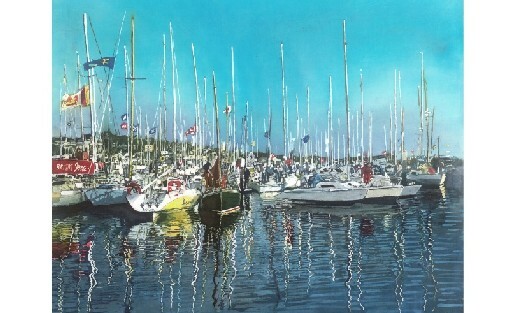 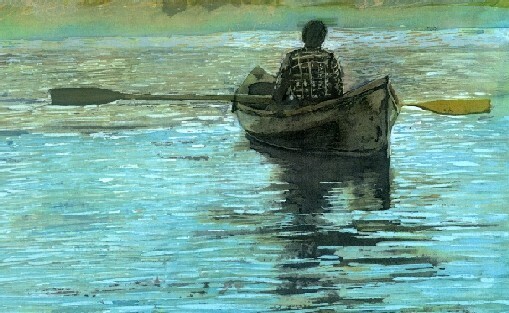 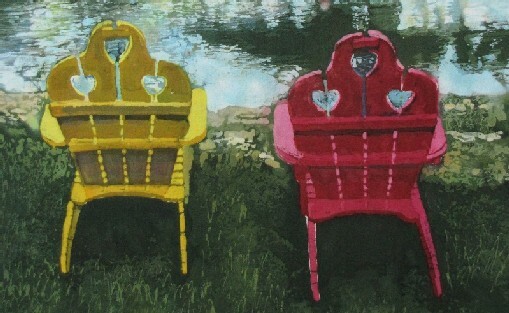 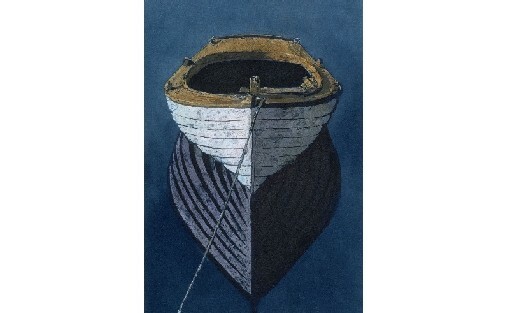 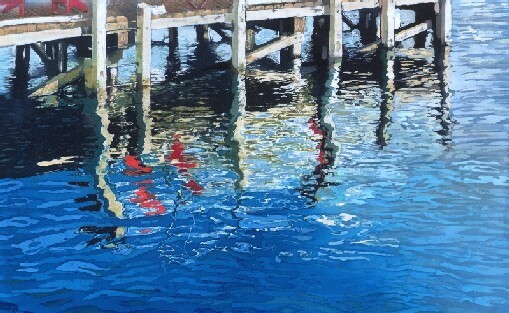 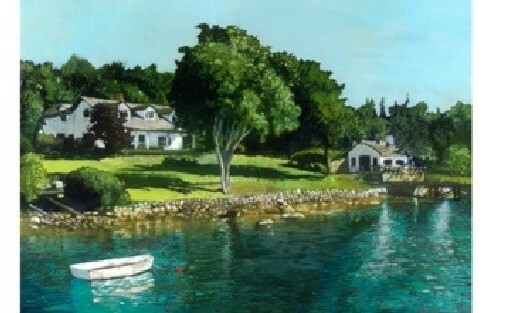 A batik painting of two people on the dock watching the finish of a sailboat race with the reflections of the wharf in the sea water.